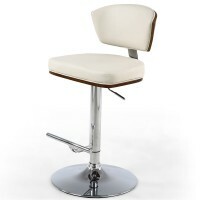 The back and seat frame are in Walnut on the outside and upholstered in a stunning and luxurious Cream leather effect material on the inside. An elegantly curved seat and back rest signify an impressive sculptural form of seating. 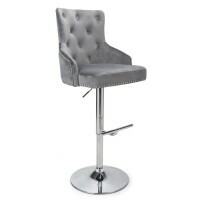 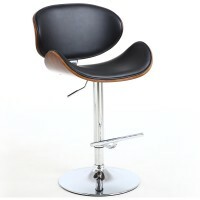 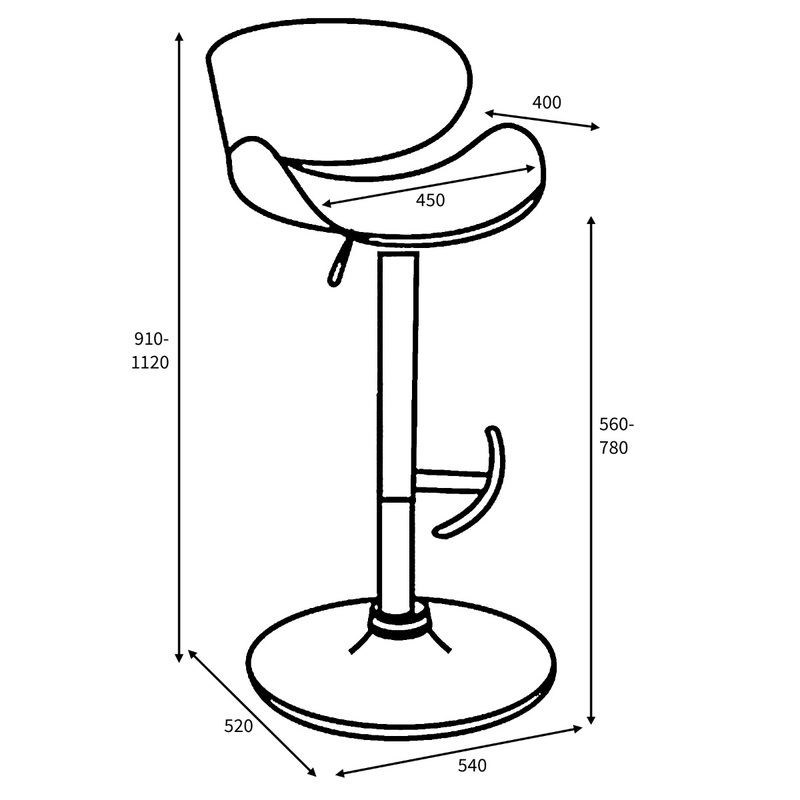 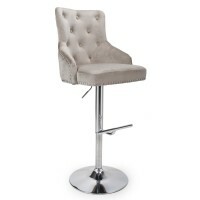 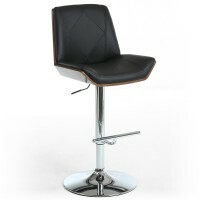 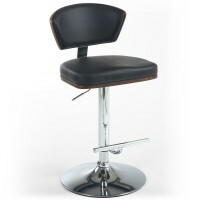 A convenient and stylish foot rest making this an extremely comfortable stool to use in around a breakfast bar or home entertainment space. 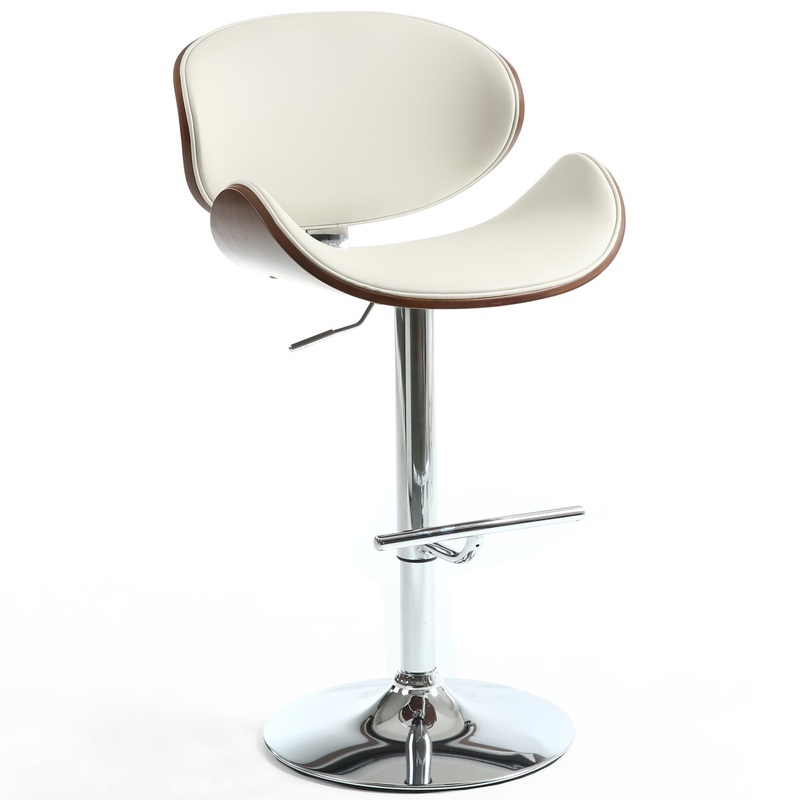 Highly Polished Chrome base and footrest.